They were only a handful of people. 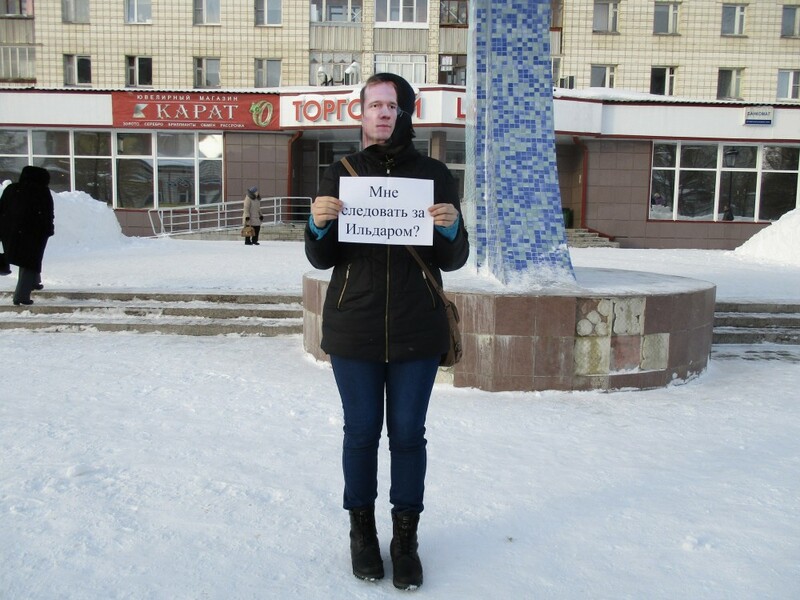 But the message was clear: Imprisoned activist Ildar Dadin must be released. In Syktyvkar, the Komi capital, there were only two people who showed up in the central square to show their support to Dadin. Similar protests were held in Moscow and Arkhangelsk, 7x7-journal reports. According to the blogger news site, activists in the Komi Republic were reluctant to join the protest following last year’s detention of fellow-activist Ernest Mezak. Mezak was detained in March 2015 during a public commemoration of murdered Boris Nemtsov, 7x7-journal informs. Ildar Dadin was in December 2015 sentenced to three years in jail by a Moscow court for repeated anti-government street protests. He is the first person to be jailed using a new law which punishes repeated breaches of public assembly rules. The legislation, which was introduced in 2014, criminalizes anyone found to have violated the law more than twice within 180 days. Three violations could result in a criminal offence punishable by up to five years’ imprisonment.